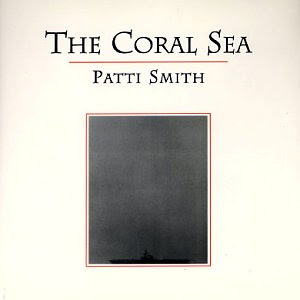 The very first thing that came to my mind when I saw the Enclosed Coral necklace was Patti Smith. She has a deep love for the sea and has used it as a metaphor over the course of her career as a singer and a poet. Another image that comes to mind when I think of the sea is the famous Waterhouse painting of a mermaid, which is what Jeanine's latest collection also reminds me of. You'll find textures and motifs that seem romantically both Victorian and marine - like lost treasures you might find in a old shipwreck...if you're lucky. My son had a very slight case of pink eye, or allergies, so we stayed home from work/school. We went to the San Francisco zoo and saw the most amazing bugs in the bug museum. WOW. Walking sticks are the grossest and yet strangely beautiful creatures on earth. I ended up at the Japanese tea garden when Will went down for his nap--Dad was home by then. Hojicha tea and a drawing book in the tea house in Golden Gate Park. During cherry blossom season. Holy nirvana. Ken Wingard and I will be co-hosting the grand opening party of Alexis Bittar's San Francisco store this Saturday. Come join us as we celebrate! Welcome to San Francisco, Alexis! 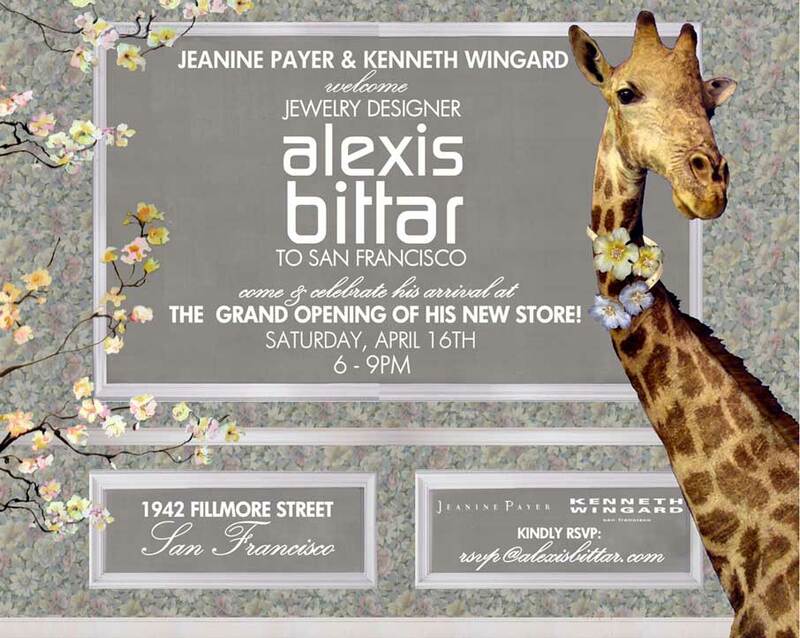 When Alexis Bittar was on the street corner selling his lucite jewelry in front of NYC Moma, I was taking my closet door off to make a design table in my SF studio apartment. We launched ourselves into business at the same time. We met in New York selling our wares and we have been dear friends ever since. Alexis has his feet on the ground and his eyes on the stars. And I mean realones. The last time I was staying with him he was having a glamorous photo shoot with Lauren Hutton. Just another day in the life of my friend, Alexis. He knows how to rock a fanny pack. He recently won the prestigious CFDA award for Accessory Designer of the Year. He is a pretty grounded cat and the best pal a gal could ever have. City Lights is one of our favorite bookstores. The beat poet, Lawrence Ferlingetti, is the owner of this historic landmark. The epicenter and birthplace of the beat poetry movement...and we only have to walk a few blocks up the street to get there. Another great place to celebrate National Poetry Month! Go Po Mo!